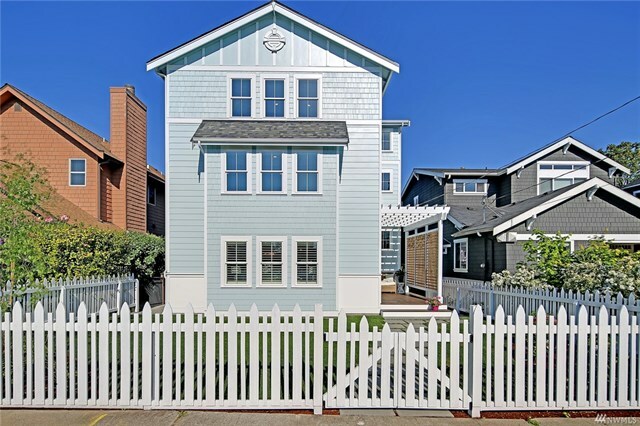 These clients were thinking casually about moving from their Belltown condo into a larger home now that they have a toddler and they happened upon an open house at a new construction home in West Seattle and decided they wanted it to be their new home. They reached out to us to get the process started. First thing’s first, crafting the offer on the home. These buyers needed to sell their condo before they could buy so we put together a contingent offer which was accepted by the seller. We had a comprehensive inspection and were able to request some repairs and an extended warranty to be provided by the seller. During the time of our inspections, we also had to put the pedal to the metal and get their condo on the market and sold within the contractual timelines. Once we signed around a contract on their condo, we were able to focus on the lending for their purchase and setting up a walkthrough with the builder of their new home, so they could learn the ins and outs. Hoping for a simultaneous closing on both the purchase and the sale, we worked extremely closely and diligently with two Escrow companies, two lenders, two sets of sellers and two sets of buyers in order to pull of this miracle and we did it just by the skin of our teeth! It was a very rewarding closing for everyone! Hope you are loving West Seattle Matt and Serena!